Mother’s Day was last week – hope you guys had a good one! Treated the Moomikins and Pops (minus the bro, coz he was working outstation) to a meal at Phranakon in Bandar Puteri Puchong, since the Moomin was craving Thai food. Almost everyrestaurant in the vicinity was packed to the brim with families that night; we were lucky we got seats within 10 minutes! No pic of resto interior, but nothing fancy. Simple wooden tables + cream coloured walls. 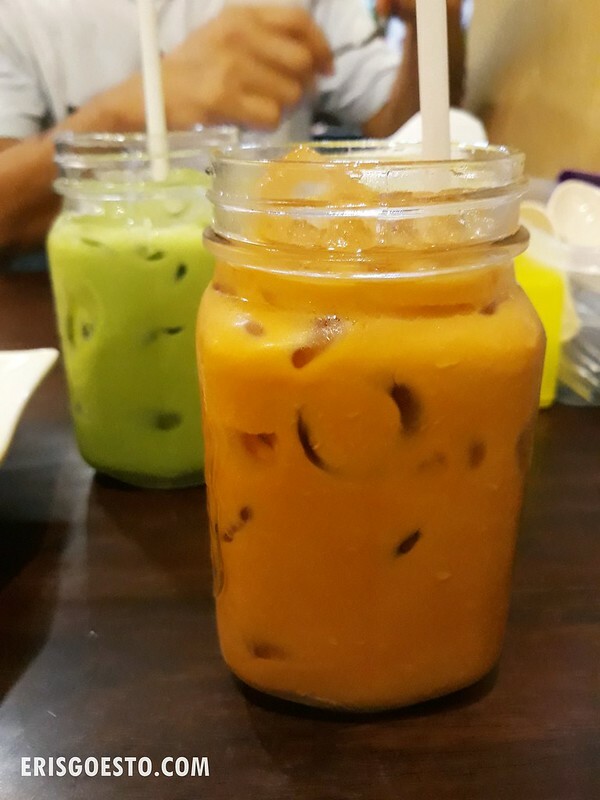 Of course, I ordered the customary Thai Milk Tea (a must have everytime I go to Thai restaurants) and Pops had the Matcha Milk Tea. It had a bit too much ice which watered down the sweetness. Big portion though. Fried Oyster Mushrooms were decent. They weren’t greasy, which is common with mushrooms since they tend to soak up oil, but taste wise, the dish was quite bland and floury. The only saving grace was the extremely addictive dip, which was sour and creamy. 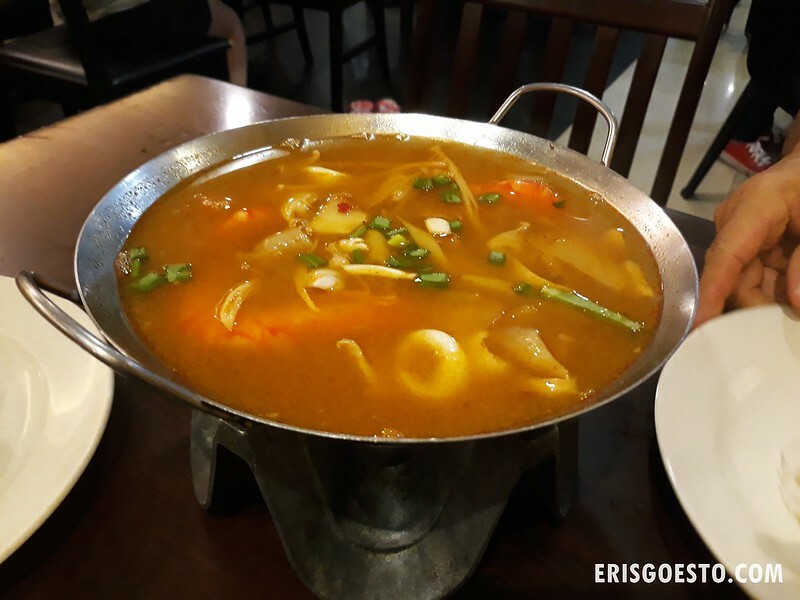 Clear Tomyum Soup came in generous portions, enough for three small eaters. It was chock full of seafood-y goodness, with squid shrimp, mushrooms, tomatoes and herbs. Spicy, tangy and appetising, it was excellent with rice, with a strong hint of lemongrass, chillies and galangal. 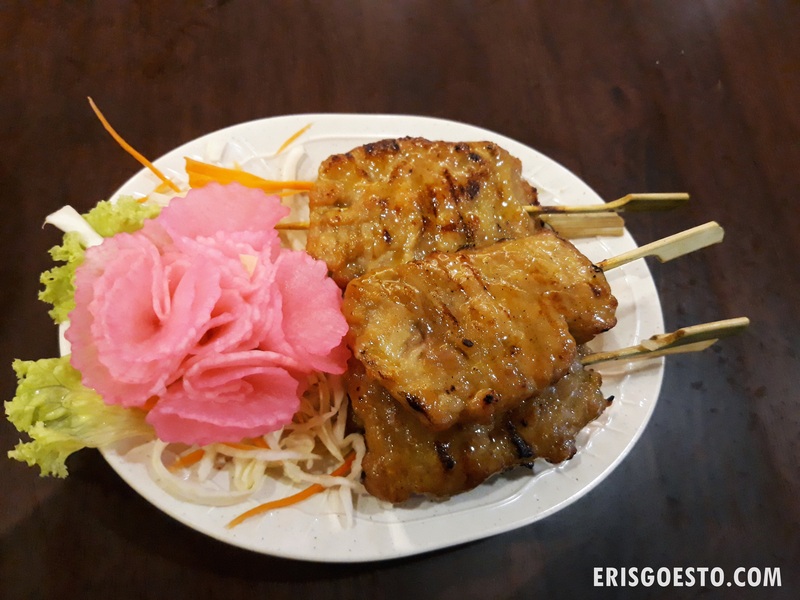 My favourite dish of the night was the BBQ pork on skewers. Served in thick slabs, it was extremely juicy (no sauces needed!) and had a nice balance of lean and fat. The exterior was caramelised but not too sweet. 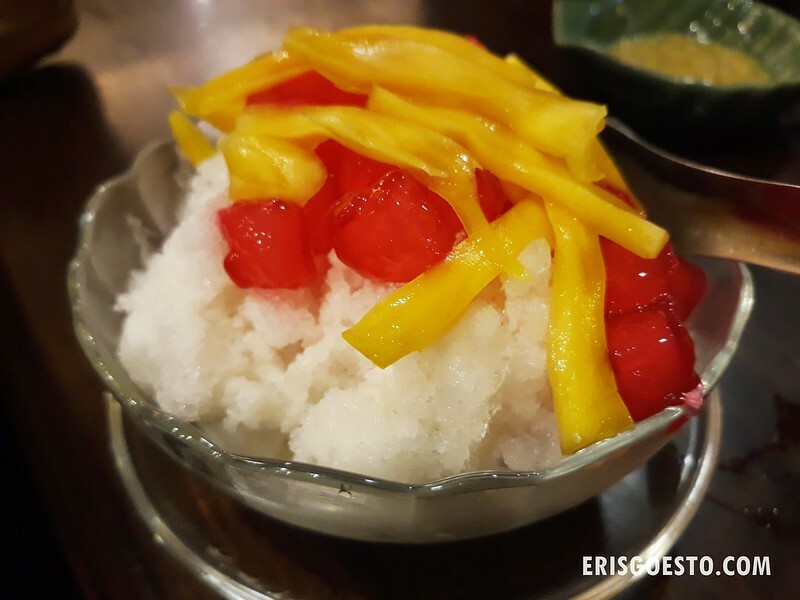 To wrap up the meal, we had Red Ruby Dessert, comprising shaved ice topped with red ‘rubies’ ie water chestnuts, jackfruit and coconut milk. 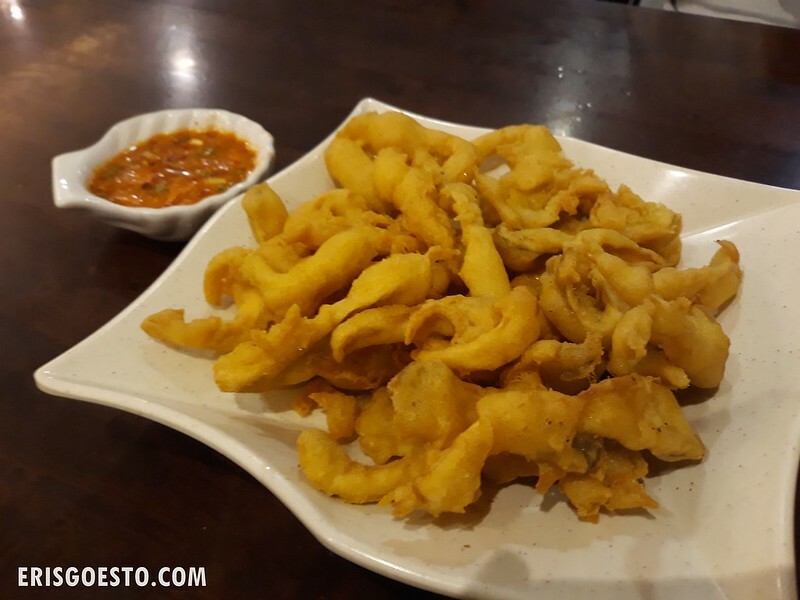 Light and refreshing, the crunchy water chestnuts contrasted with the chewy jelly exterior, and the ice cut through the sweetness of the jackfruit.